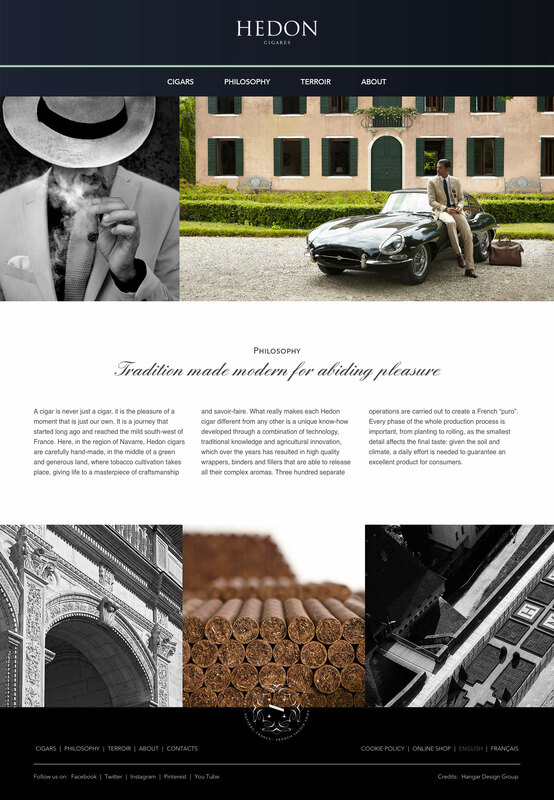 Pure elegance is what the world of Hedon Cigares is made of: the inspiration that underlies the digital world of Hedon Cigares is that of true French refinement. 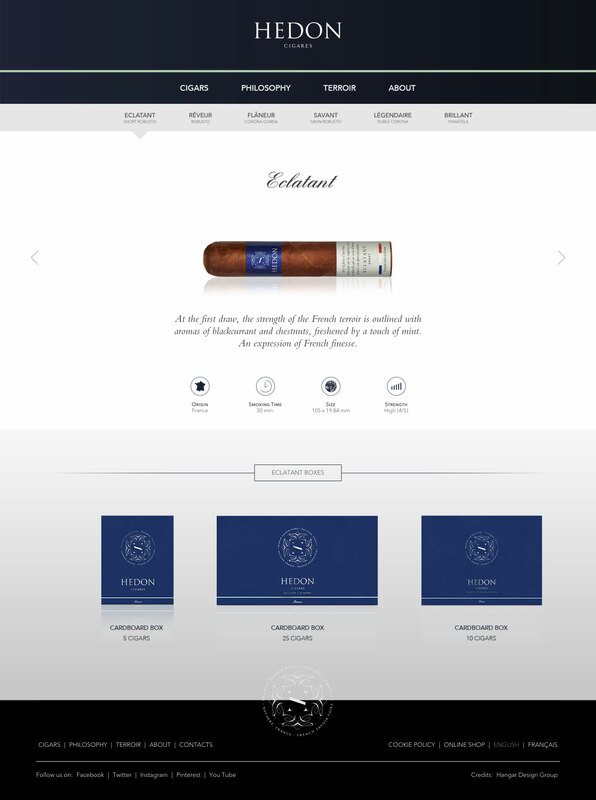 The luxury allure that is of the website takes the customer to the disovery of the origins of the first and unique brand of premium cigars entirely made in France. 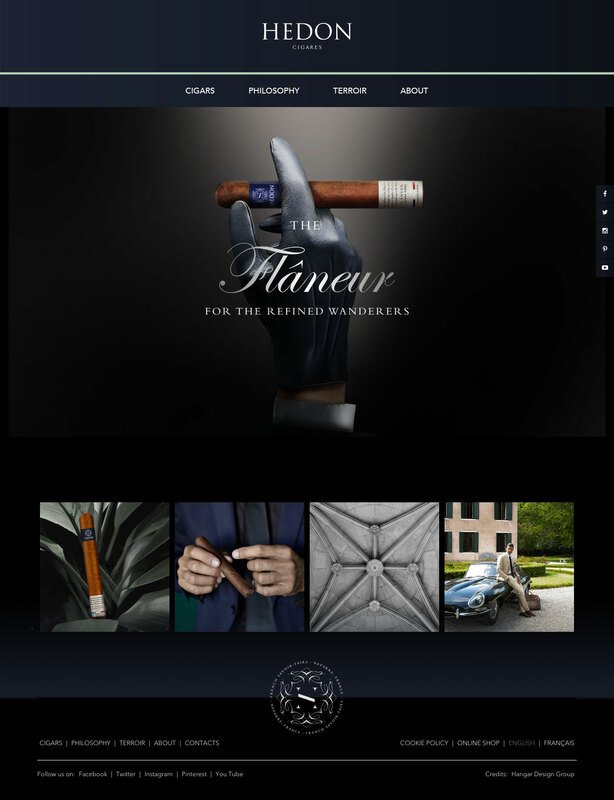 Aiming to play a leading role in the niche of high-end cigar market, Hedon marries an ambitious debut in the digital world through a creative project entirely curated by Hangar Design Group.